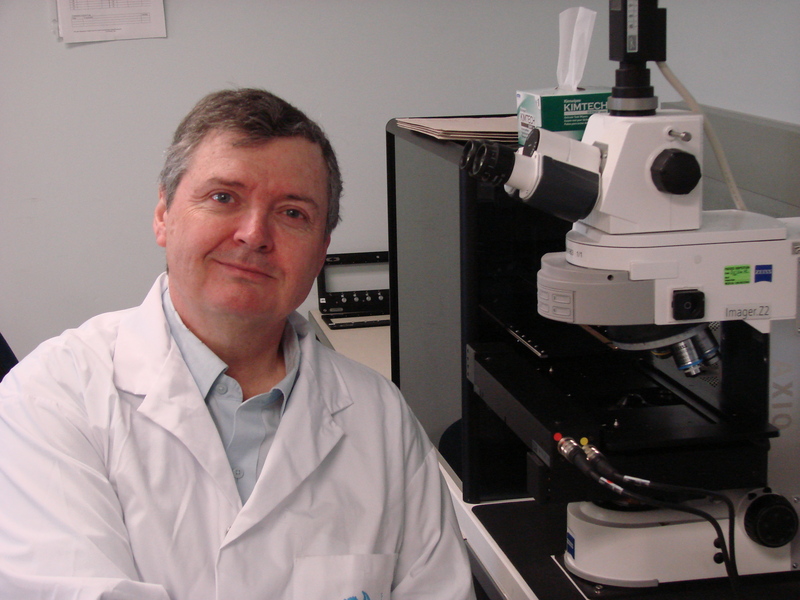 Yesterday we heard from Jeannette Campbell, today take some time to read the perspective of Shawn Brennan, MLT, from our cancer cytogenetics laboratory. LMP always takes part in National Medical Laboratory Week – the annual celebration of our medical laboratory professionals who play a critical role in every aspect of health care. From Tuesday through Friday this week we’ll be highlighting some of the different types of laboratory professionals that make up the Laboratory Medicine Program team. What do you do here? As well as technical duties I oversee day-to-day operations of the cytogenetics lab, maintain equipment and computer systems, run reports for quality assurance, ministry of health, research etc., prepare the lab for OLA and CAP lab inspections and maintain the Paradigm technical manual. Why did you get into Lab medicine? I wanted to pursue a career with practical application of my education in genetics. How did you get started at UHN? I was hired as a trainee-technologist in Dr. Allen Gardner’s clinical cytogenetics laboratory in 1982. I moved to Dr. Ian Dube’s new cancer cytogenetics laboratory in 1986. What is your favorite part of the job? I still enjoy the technical aspects of my job, particularly karyotyping. What is the most challenging part of your job? The most challenging part of my job is time management. What value would you say you add to patient care? Cytogenetics and FISH are important prognostic tests. The information we provide can determine the responsiveness of some cancers to different treatments and hence allow clinicians to tailor their treatment of individual patients. Certain cytogenetic abnormalities correlate to high risk diseases and those patients can be treated aggressively to increase their rates of survival while other cytogenetic abnormalities correlate to lower risk and those patients can be treated less aggressively which reduces therapy related morbidity. Genetic changes can also be used to determine the suitability of patients to newer targeted therapies such as Her2/neu amplification indicating Herceptin therapy for breast cancer or Gleevec therapy for patients with Ph1 positive leukemias. National Med Lab Week is all about promoting the work of laboratory professionals – what do you wish people knew about the work that goes on inside the lab? I wish people knew about how genuinely concerned lab staff are for their well being. Even though many of us do not meet the patients we produce lab results for, we are highly invested in rapidly producing the highest quality of laboratory test results in the hope that our participation as members of their health care team leads to their successful treatment and recovery. One of the first patients I worked on in cancer cytogenetics was a teenager diagnosed with acute myeloid leukemia. We followed her along as she was successfully treated into remission, monitored here while she remained disease free, grew into adulthood, married and had a family of her own. It makes me proud to know that laboratory staff, through their caring work, participated in such a wonderful outcome.